The primary artwork features a series of aluminum almond shaped panels that echo the shape of the platform canopy. 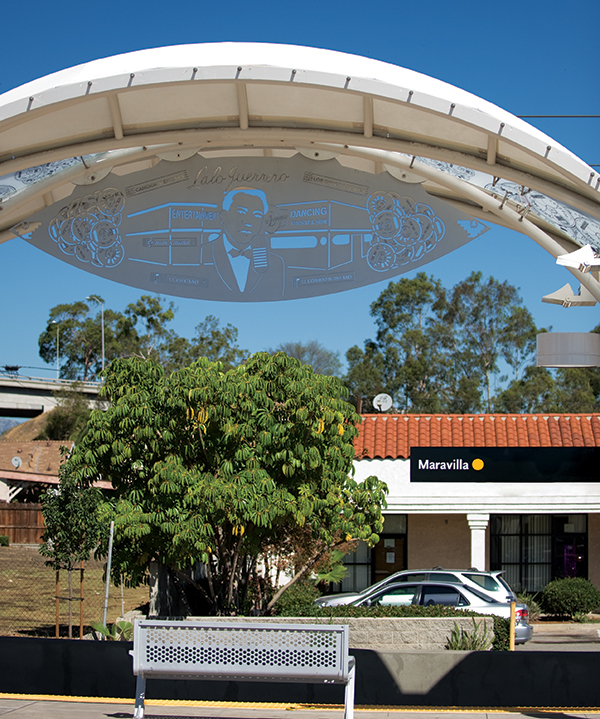 The panels contain images from the past and present-day Boyle Heights community, and are cut out to depict images of historic transit tokens and landmarks in a style reminiscent of papel picado (cut paper) and Japanese wood block prints. Laminated glass canopy skylights also include artist selected images of local history and iconic travel imagery. 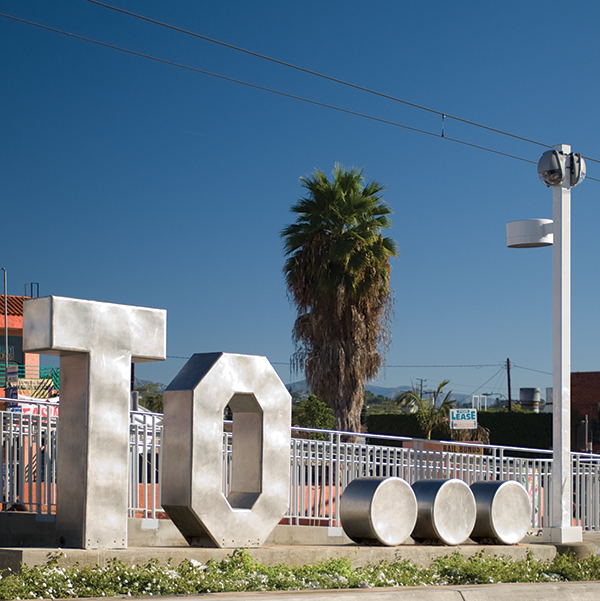 On the west end of the station landscape area, large metal sculptures forming the words “TO…”, evokes the famed Hollywood sign and creates a new landmark.